Two festivals of Yushu & Litang, Nomads, Mountain views, Spectacular Landscapes, Local markets and local populace of Amdo and Kham. In 2007, we conducted exploratory of this amazing trip of Amdo and Kham regions in greater Tibet. These areas though densely populated by Tibetans, is not a part of T.A. 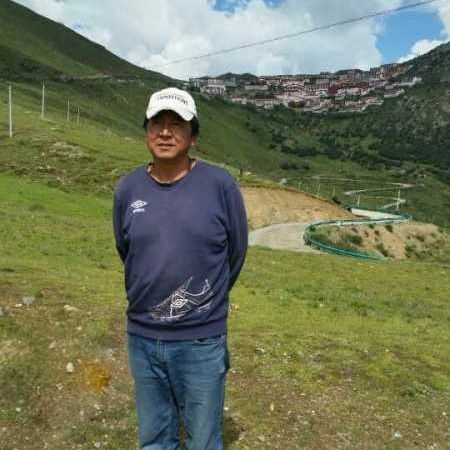 R (Tibetan Autonomous Region) but falls in the Qinghai, Ganzi and the Sichuan provinces. Ironically it has more Tibetans and retains a far more authentic culture than anywhere in the TAR. We get to see many pastoral, nomadic Tibetan villages or camps, monasteries unscathed by external influences, and will have the privilege of attending two grand local festivals. During the summer, the grasslands and meadows are carpeted with multihued wild flowers. One of our guest rightfully said “every day and even by hour, the scenery is different and amazing”. At Wind Horse we are passionate about off-the-beaten track travel and about giving our travelers the thrill of close encounters with unaffected cultures as well as regions of wilderness and of unblemished natural beauty. These trips are what we ardently call, the “trips of a lifetime” and this is one such trip. Join us on this truly amazing journey. Fly from any major cities of China to Xinning. Upon arrival, meet and transfer to the hotel. Later visit the Hui inhabited area in the east Xining, their mosques, see their crafts and visit interesting food market in the center of the city depending on available time. Overnight in Holiday Dyanasty Hotel (4 star) or similar. En-route to Gonghe, we take a diversion to visit the famous Kumbum Monastery, one of the five Great Gelugpa institutions in all of Tibet. After lunch at Kumbum, drive across Sun & Moon Mountain to Gonghe (Chabcha) a mid-sized Tibetan trading town at 2800m. Overnight in Hainan Hotel (3star). Drive through the high grasslands of Amdo and enter Golok nomadic areas. En-route, we pass through many interesting nomadic town centers and also seen along the way is the view of Mt. Amnye Machen (6282m). Maduo or Matho, at 4300m is one of the highest and coldest regions of Tibet and for us; this is the only convenient stop along the way to Yushu. Overnight at simple Guest House with dorm style rooms (shared toilets). In Tibetan songs and poems, there is an expression that is as many lakes in Tibet as many stars in the sky. Mado at the source of Yellow river is one such place. Wild animals such as Tibetan antelopes, gazelle, fire fox and lots of birds are sighted along todays road. After crossing the pass, the road descends through semi nomadic houses, villages, farmland and grasslands filled with wild flowers to arrive in Jyekundo or Yushu town, the capital of Yushu Tibetan Prefecture. Before reaching the town, visit a large Dhankar monastery. Overnight in Yushu County hotel (3-4 star). Jyekundo (3700m) locally known as Gawa or Jiegu, is the capital town of Yushu Tibet Autonomous Prefecture, inhabited by Khampa Tibetans. It lies in beautiful long valley with a decent size town, whose population swells by about 3-4 times during the festival. The festival is held in large ground, near the town which becomes a tented city. There are lots of cultural performances of various Tibetan groups as well as some Chinese cultural performance and displays of various sorts including horse, yak rides. The actual horse race is performed in Batang, in the mornings. During your time here, attend the festival, meet with people, share meals in their tents and also visit sites in Jekuyndu.Overnight in Hotel. Before leaving the town, visit a large Mani wall (carved prayers on stone slabs) and a temple nearby. Drive to Serxu. The area around Serxu is nomadic with large grasslands covering the region. Visit the large Serxu Monastery with its Buddhist University. Overnight in Shamde Nima Hotel or similar Guest House (basic country Inn). From Serxu, the drive to Dege is long but really beautiful and ever changing. The landscapes change frequently; from vast prairie grasslands to rocky mountains, then green and rolling hills, and snowy peaks, pristine valleys with sea of wild flowers and very deep gorges as we approach Derge. Stop at Manigange for lunch. Visit the sacred Yilhun Lhatso Lake, cross the Chola mountain pass and make a long descent into Dege (3200m), through deep and narrow canyons. In the evening stroll around the town. Overnight at Que’er Shan Hotel (Similar to 2-3 star hotels). After visiting Derge’s Parkhang Printery Estd. in 1729, with invaluable collection of Tibetan religious and scholarly works, drive along the Jinshajiang River to Baiyu (3150m). Visit the large monastic complex that straddles the hill overlooking Baiyu town and perhaps the hospital of traditional medicine. Stroll and browse the town area. Overnight in Shengde Hotel (2 star). Following the river valley upstream from Palyul, pass through villages, cross mountain passes and spectacular upland lakes to Xinlong in Yalong basin. It is a small town set alongside the banks of the Yalong River, largely unvisited due to a road only recently repaired/completed but really pretty with some interesting monasteries nearby. Litang (4015m) is a bustling little nomadic town, one of the highest in the world, surrounded by open grassland, framed by snow capped peaks. Another unique horse festival takes place here. Nomadic Tibetans from the area and far away get together with their families and friends, pitch their tents, and watch the event that includes horse racing, Yak race, dances and cultural performances. The festival is slightly smaller then Yushu. Overnight in Kangnan Hotel or similar 2 star. More Litang Festival and drive to drive to Xinduqiao (3,450m), a wonderful site for landscape photographers. It is also the best place to get the views of Gongga Shan or Minya Konka (7,590m /24,783ft), the third highest peak outside of the Himalaya/Karakoram range. It’s dramatic colossus is deeply respected by the people of the Tibet-China borderlands it dominates. Overnight in Xinkangzhu Hotel. Day 14:Dive to Danba (1935m). En-route visit Tagong monastery, pass through Bame, view Yala Snow Mountain and Yak Valley. 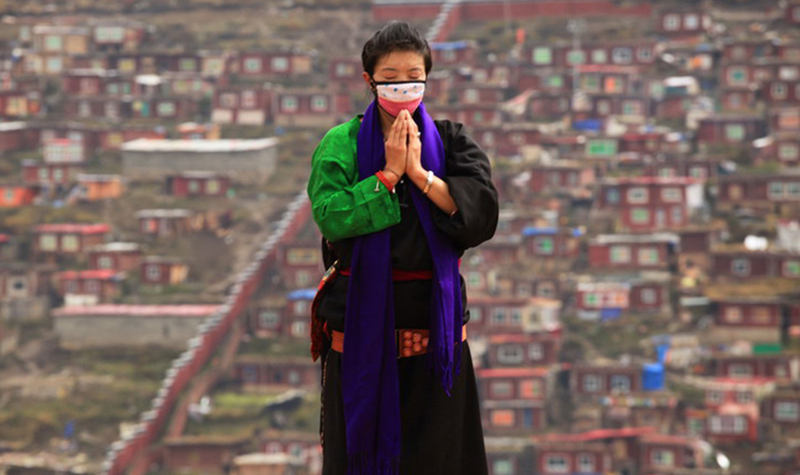 The indigenous populations of Danba are ‘Gyarong Tibetans and wear distinctive dress. Tall 18th century block towers (watchtowers), fortification dominate the landscape of this ancient Gyarong Kingdom. It is considered to one of the prettiest rural village in all of China. Overnight in Gyarong Ancient Tower hotel. Departure transfer to the airport in time for your departure flight or extend your trip to the next destination. Starting from USD$ 4000 per person (Land), but it depends on group size, travel date, hotel etc , please check with us for price. All meals as indicated by B/L/D. Transfers and tours, entrance fees to sights. 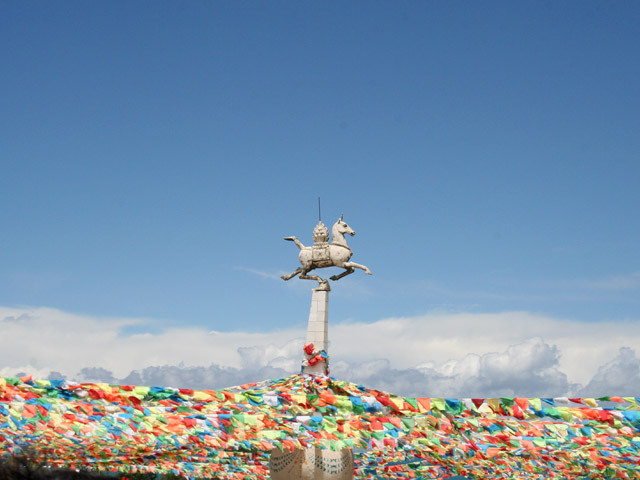 "My husband and I would like to recommend the Windhorse trip to the horse festivals in Yushu and Litang, China, two exciting and dynamic celebrations attended by beautifully-clad local tribesmen. On this itinerary we also found an enchanted world full of snow-capped mountains, lush valleys dotted by Nomadic tribesmen's tents, and colorful Buddhist monasteries. We had excellent guides and drivers and the best accommodations that were available in these stunning remote locations."